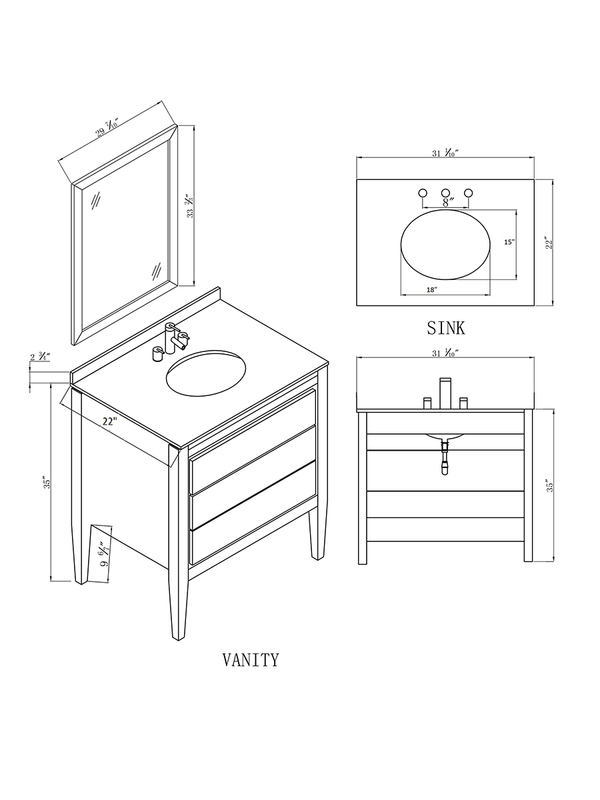 The 31" Tolten Single Bath Vanity speaks elegance in every language. Its beautiful cabinet is made from solid birch and is finished with a deep Black finish. Its cabinet features two fully- functional drawers and a faux drawer, all of which are adorned with two silver handles each. 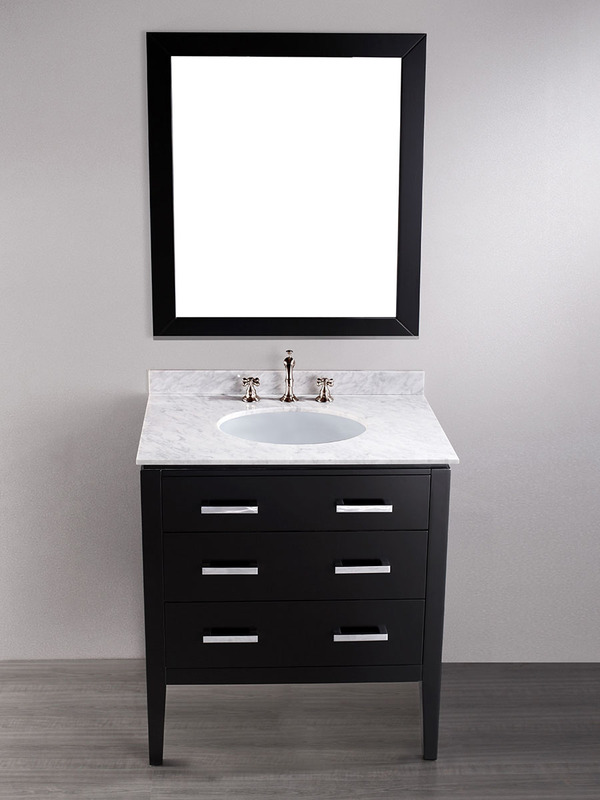 The top makes an attractive contrast to its dark cabinet and is made from White Carrera Marble. A white undermount sink is also included with the top, as well as a matching mirror.